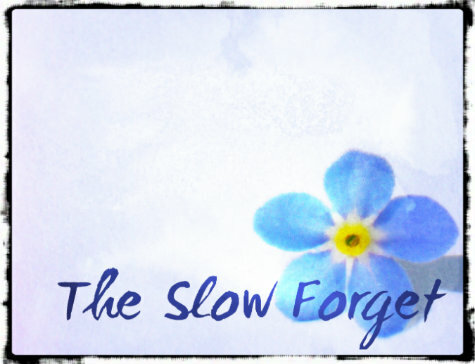 Welcome to The Slow Forget. I am a poet. And a writer. This blog is about my mom. Your mom. Your dad. Your cousin, grandma, aunt, neighbor, client, etc. My mom doesn’t even know I write. Mr. Alzheimer’s has taken control of her brain. I’m a long-distance care-giver. Mom has already forgotten my home. The day she forgets my name will be one of the hardest days of my life. You might be an at-home care-giver. You may be further along this journey than I am. I began this blog as a way to share stories and poetry about the dementia journey but it has morphed a little. I’m writing more about all the different ways ALZ touches our lives, changes us, and confuses us. 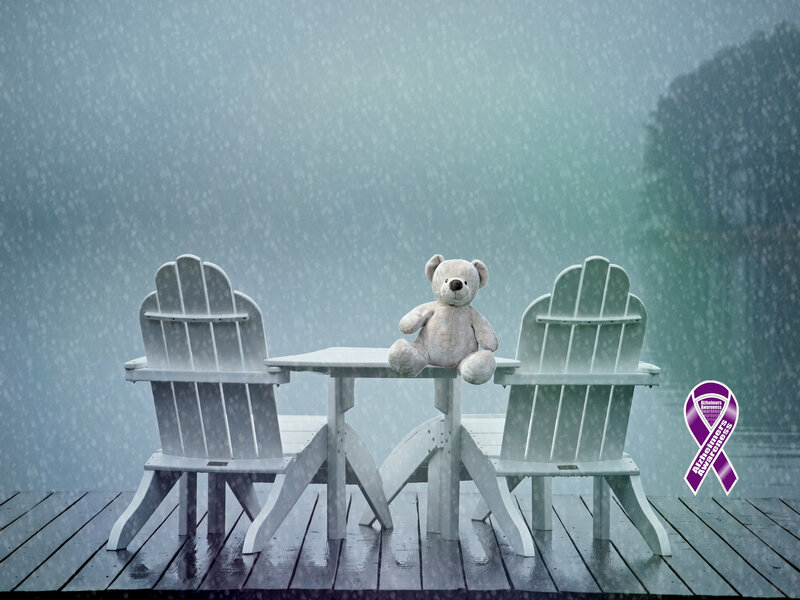 I do want to hear your stories, your sorrows, and your celebrations of Alzheimer’s. The good, the bad, the ugly. The sometimes funny. Do you write to soothe the confusion of Alzheimer’s? Do you enjoy poetry as a way of expressing yourself? Take a moment to share. 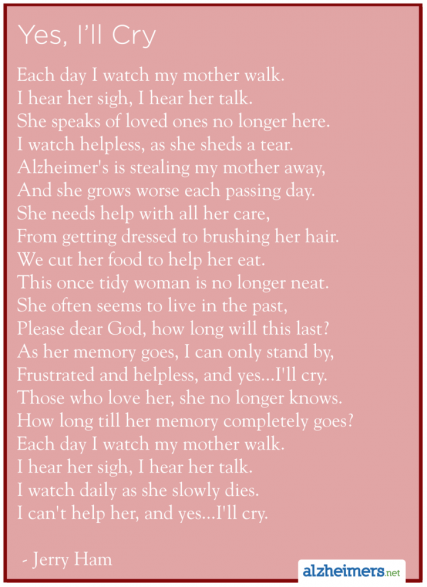 My mother had Alzheimer’s, but she died years before I became a poet. Still, one of the first poems I wrote was about her no longer remembering me.It took me almost three years to share it in a blog post. Oh, Michelle. What a touching poem. We both know how healing it can be to share our words. Thank you for being brave enough to share. Thank you for starting this site. It is going to help a lot of people. My mother’s sister had Alzheimer’s. I’ve never written about it or about my grandmother’s dementia but you have encouraged me to. I will share when I finish something. Thanks for sharing this. Hi Debbie! I’m so glad you are joining us. I look at the stats on Alzheimer’s–1 out of 3 seniors will be affected by this disease. So, I’m combining our mutual love of poetry with this journey. See you over at PB (or whatever the new name is now.)! I just wrote this – been thinking about your response. I left you a message but I want to encourage anyone else reading this to click your link.You hit on an ever present fear, Debbie. Thank you for putting it into words. Thank you. I do think it crosses our minds a lot. 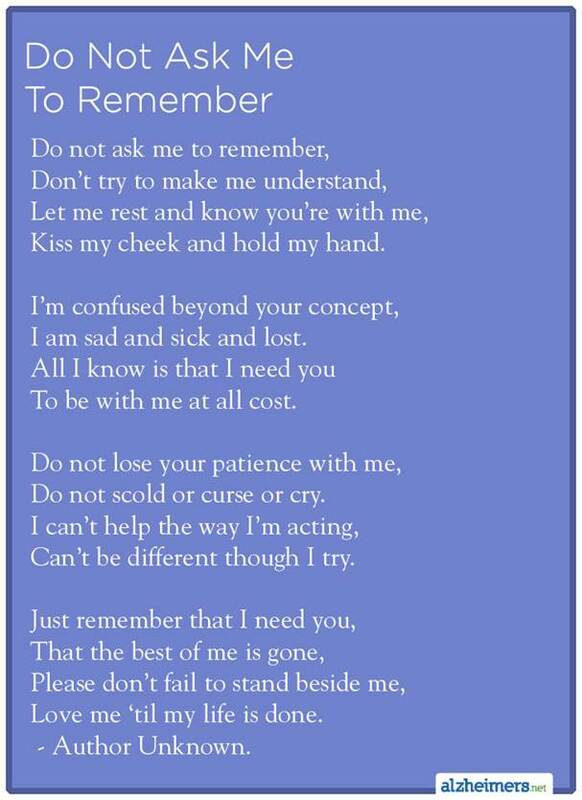 I wondered if you would consider any form of collaboration with my own website http://www.dementiapoetry.com, either by featuring some of my poems on your site or linking to me via blogroll? Sorry for the delay. I was out of town helping mom and dad and you know how that goes. I confess I am impressed with your ability to tell a story in rhyme. I couldn’t do that. I’m all for collaborating and connecting when it comes to this disease. I’ll shoot you an email at your outlook dot com address.